New Zealand mountain bike star Anton Cooper has finished 20th in the final round of the UCI Mountain Bike World Cup in Italy. The Trek Factory rider has placed an impressive seventh place on the overall World Cup standings for his first full season in the elite competition, after illness plagued much of his 2016 campaign. 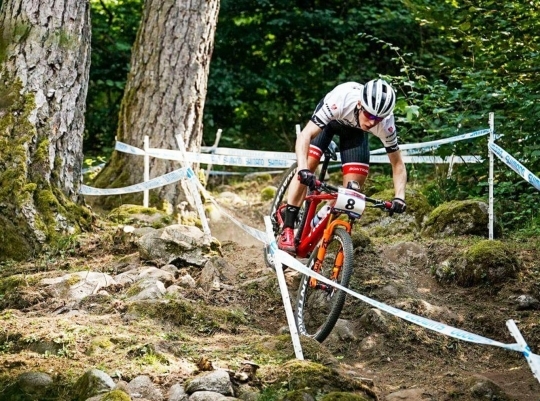 Cooper, the former junior and Under 23 World Champion, enjoyed two top-10 finishes at the Czech Republic and Germany rounds and performed consistently throughout in a competition dominated by the World and Olympic Champion, Nino Shurter (SUI) who won all six rounds. The 23-year-old Cooper started well in the final race at Val di Sole but was shunted back to 34th mid-race before working his way back through the field, finishing with the fifth fastest final lap of all riders to climb to 20th. Anton will therefore start front row at the opening round of the 2018 season in Stellenbosch, South Africa. Next up though it's the World Championships on September 9th, in Cairns, Australia.